Through the decades, Lamborghini has created some of the most iconic exotic vehicles in the industry. From the Diablo to the Gallardo and everything before, during, and after, Lamborghini makes vehicles that are synonymous with exotic performance. The Huracan has only been around since 2014, but it’s already a well-known name across the industry. Two years after its initial introduction, Lamborghini introduced a convertible version of the vehicle, and now we’re excited about the 2018 Lamborghini Huracan Spyder, available here in North Miami Beach FL. Available as either the 610-4 or 580-2, either model offers the same iconic Lambo design and a heavy dose of power. We know that the most exciting aspect of a vehicle like this is its performance, so that’s where we’ll start. Either version is powered by a 5.2L V10 engine that features a combination of Multi Point Injection and Direct Stratified Injection for improved performance. The 610-4 is capable of generating 602 horsepower, while the 580-2 doles out 571 hp. As for torque, the Huracan Spyder doles out 413 or 398 pound-feet respectively. So that covers power, now onto the real performance numbers. The 610-4 is capable of hitting a max speed of 201 miles per hour, it hits 62 mph in just 3.4 seconds, 124 mph in 10.2 s, and can brake to 0 from 62 mph in just 105.6 feet. The 580-2 doesn’t drop much, offering 199 mph, 3.6 s, 10.4 s, and 105.6 ft. in the same areas. But power and performance aren’t the only things that the 2018 Huracan Spyder has to offer. They also deliver eye-catching design and a host of great features in the cabin, including top-of-the-line infotainment and a host of other great features. 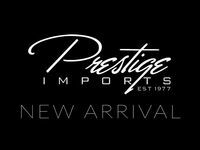 If you’re interested in a Lamborghini Huracan Spyder convertible, be sure to get in touch with us here at Prestige Imports!